Orientation Night was held the 12th November 2018, 8pm at the Latvian Theatre. 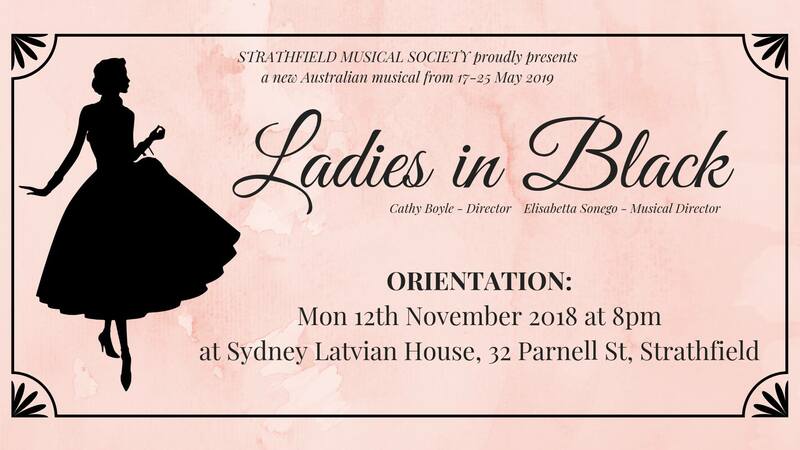 Thanks to those who joined us to find out all there is to know about auditioning for this wonderful Australian musical… there are so many fantastic roles for women and men in this character driven, coming of age story! Auditions have been completed – see the cast list below. Ladies in Black will be staged from 17th – 25th May 2019. Tickets will go on sale in February 2019.